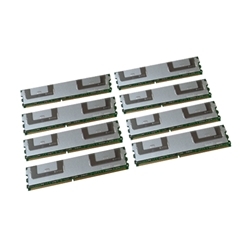 Description: New Server 32GB (8 x 4 GB) memory module set. 667MHz PC2-5300 DDR2 SDRAM ECC 240-PIN DIMM. Memory appearance may vary from picture depending on availability.